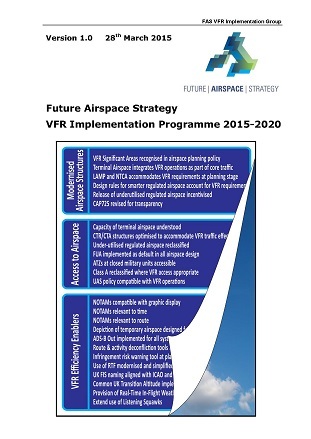 The FAS VFR Implementation Programme V1 (FASVIP) was launched at the Government/CAA/FASVIG GA Event at Duxford on 28th March 2015. Or else you can read the FASVIP here on the pages of this website. See the Main Menu or the links below.